Launching from Lees Ferry in a flurry seems ominous, but hiking Thunder River without a soul around makes it worth the slog. The Pinyon Pines Pants are made from organic cotton (67%) and polyester (33%) twill canvas fabric that wicks moisture during heated scrambles and repels water in a downpour. Traditional 5-pocket construction features a shaped waistband, flattering back yoke seam and zippered fly with shank button closure. Two back pockets hold topo map and snack. Metal grommets throughout for added durability. 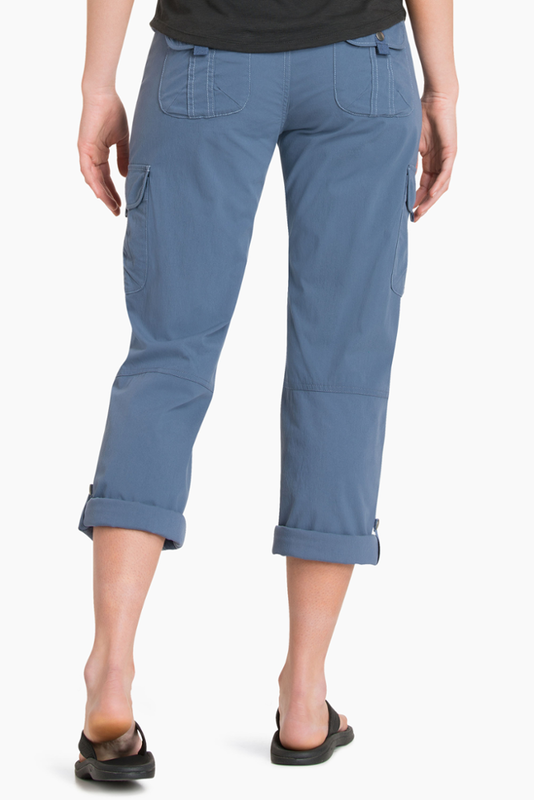 Never mind the iffy weather, hit the trail in the Patagonia Pinyon Pines women's pants. Their cotton-polyester twill canvas fabric wicks moisture on warm scrambles and then repels water when it rains.